Talk is cheap, they say, but we create our world and who we are with words. When we think, we use the words in our minds and we somehow believe that what we think about is not significant, because it is not real and no one can see what we think. But thinking words leads to speaking them and speaking is already a physical action, because we have to move and create the sound. Every action has a consequence and we can never really take back what we said, because it was a physical action that has an impact on ourselves and also our surroundings. Thus it is important that we use the words in ways that are supportive for all and not in ways that create abuse or conflict. Right now we, as human beings, have some problems with how we handle the words. One of this problems is that our words are often not just words with a common meaning. Everyone usually has a somewhat different understanding of the same words that we speak, because we didn't all learn them from the same dictionary and mostly not even from a dictionary, but from listening to other people speaking. Thus we mostly created our meaning, our understanding of the words according to how we perceived every individual word being used in practical examples by our parents and others. Therefore, we often have a problem understanding each other, because the words we used to explain ourselves can have a different meaning in our minds than in someone else's mind. It is important that we are aware of this, because then, when we have a hard time understanding another, we know that we can look at how we defined individual words and make sure that we all understand them in the same way. It happened to me many times that I was talking about a point with another and it looked like at first as if we don't agree with each other, but we actually did, as we were both speaking about the same thing, we just used different words, because we had a different understanding of the same words. Thus, the conflict was in how we defined, perceived and used the words, although we were talking about the same thing. So, it is important that we redefine our words by firstly removing all the definitions, memories and emotional energies that we attached to the words and to then redefine every word in a way that is neutral, which means that we only keep the basic definition of the word that will support us and others when using it. And so with this we will no longer react to the word with emotions. We often do this; we emotionally react to the the words others speak, especially if they put a lot of emotion in the words, because we take it personally. This is the problem that always creates the biggest conflicts in our conversations - when we take the words personally and allow ourselves to get emotional and then abuse others and our surroundings by aggressively and violently channeling this emotional energy out and onto others. No excuse can ever be valid for us being emotional and using this energy to abuse others, by either yelling at them or even getting in a physical fight, because we ourselves are the only ones responsible for the emotional energy that we created within ourselves. We must always be aware of the fact that speaking words is already an action that has a consequence. Therefore, we must make sure that we use the action of speaking only in a way that is supportive for all. Whenever we speak and create conflict and abuse, we must immediately stop, with self-aware breathing, and deal with our own reactions, emotions and intentions with self-forgiveness and self-correction. The words we think and speak are the words we use to create ourselves and the world around us, thus we can only be responsibly for ourselves and what we do by being responsible for the words we think and speak. If we want to live in a world that is best for all, then we must start by thinking and speaking about it with words that will make it possible. great blog! 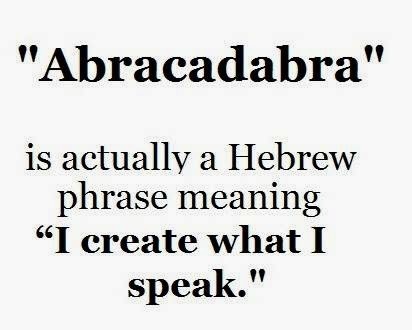 abracadabra! Cool! Self-responsibility in and as Our Words is Key to Our Being Here.